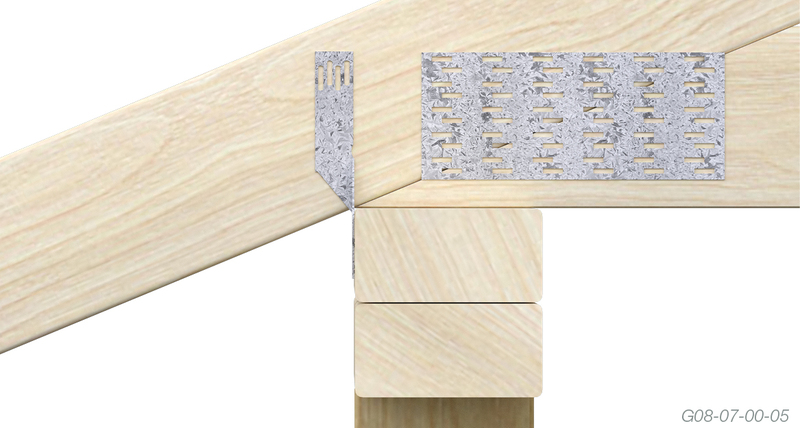 An alternative fixing to Triple Grip and Multi Grip in most cases for tiled roof. 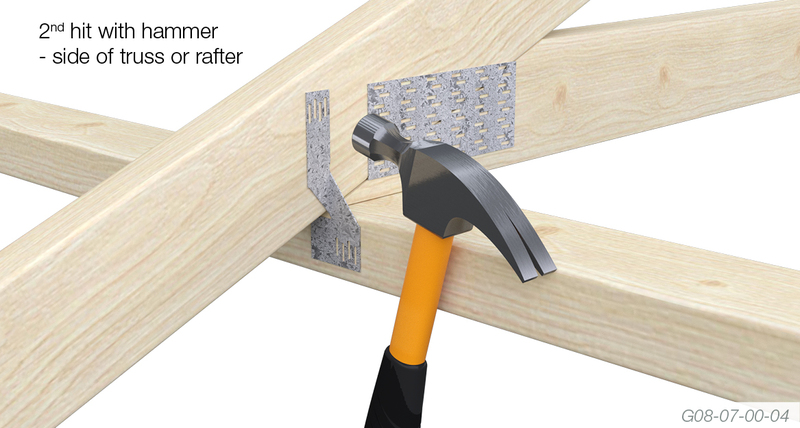 Faster and easier to fix than Triple Grip - no need for left or right hand grips. Single Truss Fix applied to outside of top plate. .
1. 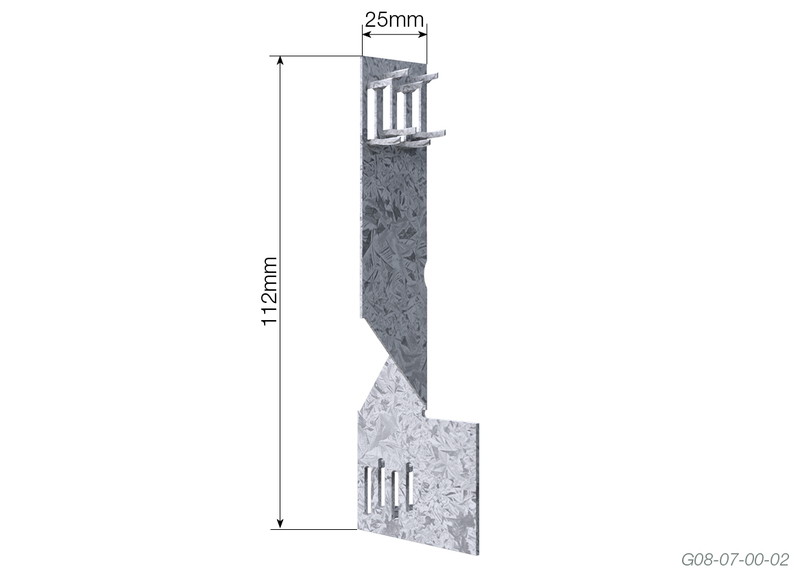 Place the Truss Fix in position on the top plate (wall) to cover one or two wall plates (whichever is required). Hit Truss Fix teeth into top plate with hammer. 2. 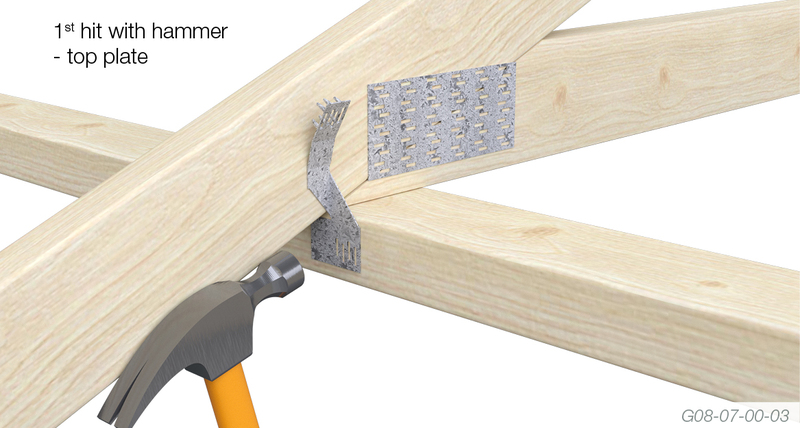 Hit Truss Fix teeth into the timber rafter or truss with hammer. 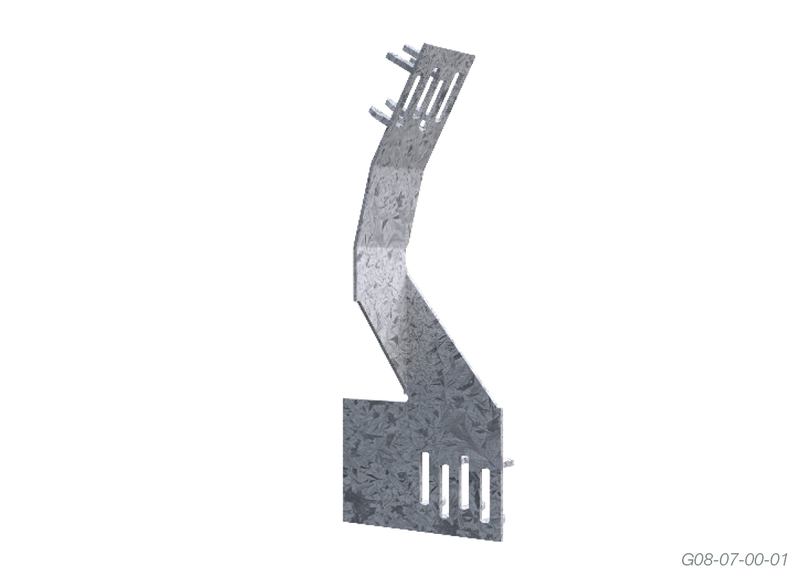 Truss Fix can be used effectively with single or double top plates.